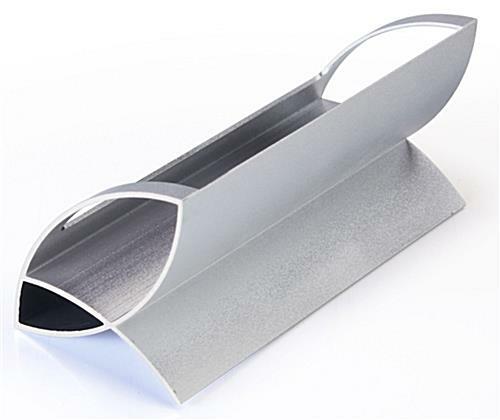 This metal business card holder is designed to accompany any office environment. Easily display all of your company information. 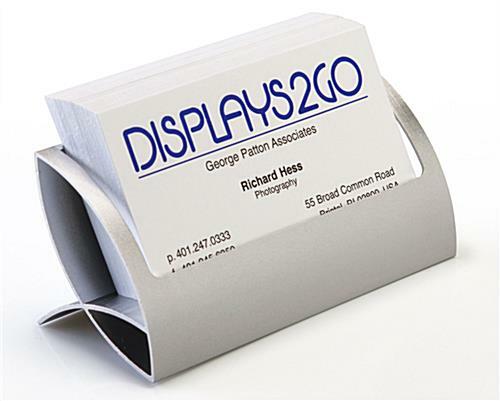 The desktop business card holder that is curved has a sleek design, making it a unique accessory. 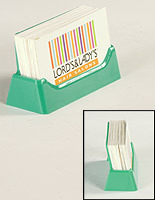 Each has a 1" deep pocket, which ensures there is no trouble displaying a large quantity of visiting cards. 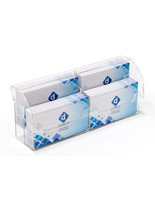 The pocket allows the designer business card holder that is compact to contain approximately 65 contact cards! 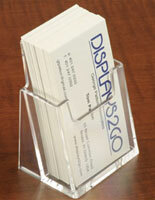 Put this office display on any desk for clients and employees to easily access information. 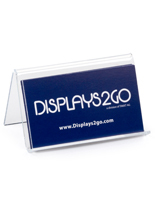 Avoid missing opportunities with this desk business card holder that has a contemporary style. 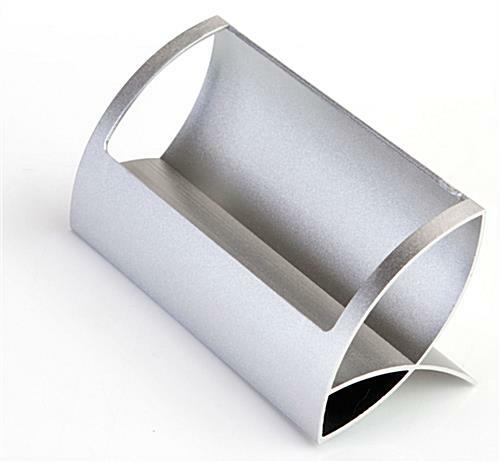 The 4" width of this metal business card holder easily fits comfortably on any desk, helping keep space more organized. The product's aluminum design makes them eye-catching and great gifts. Along with the desktop business card holder, we also offer other models including leather, acrylic and personalized displays that make great gifts. Keep your information highly visible with this item. 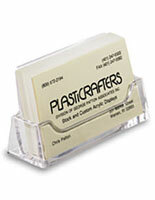 This desk business card holder that is designed for countertops can complement any decor. Styles are available for any needs and complement any desk. 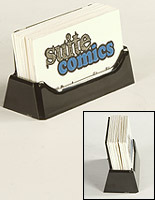 Impress office visitors with this appealing business card holder. I love the unique design of this business card holder! 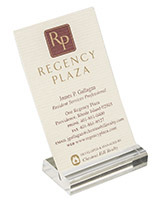 The simple and clean lines make this business card holder more of a statement piece than a plain holder. I plan to use these in my company's conference rooms to hold business cards with the Wifi password on it, so finding a nicer holder was important. This is exactly what I was looking for. Thanks so much for the rave review, Katie! 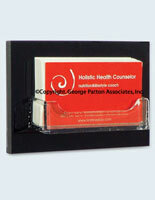 We're so glad these business card holders worked so well for you! We purchased (4) of these to hold the teams business cards at a Vendor Meeting. They looked great on the table and served their purpose. Will get more if we need them in the future!!! This is a simple but very nice card holder. It is good looking and seems well-made. It has an open design so it is not clunky looking. Thank you for the review, Robert. If you are planning on ordering from us again, feel free to follow us on social media; we offer various social media-exclusive discounts and deals that you may be interested in for future orders! I have purchased these previously and we loved them enough to buy more. We ship these across the country and the plastic ones we had previously would break. These are much more durable and look very nice. They work great for us. The brushed metal of the card holder looks great with our business cards. I love the design and the price was great!